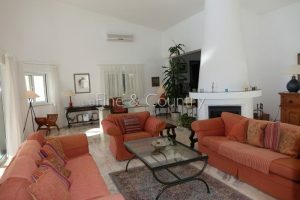 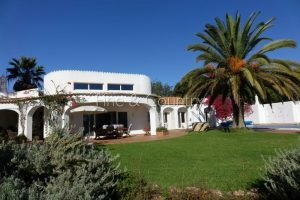 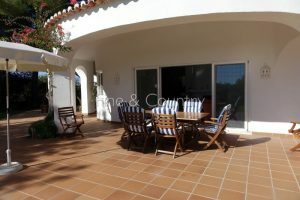 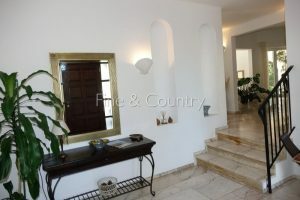 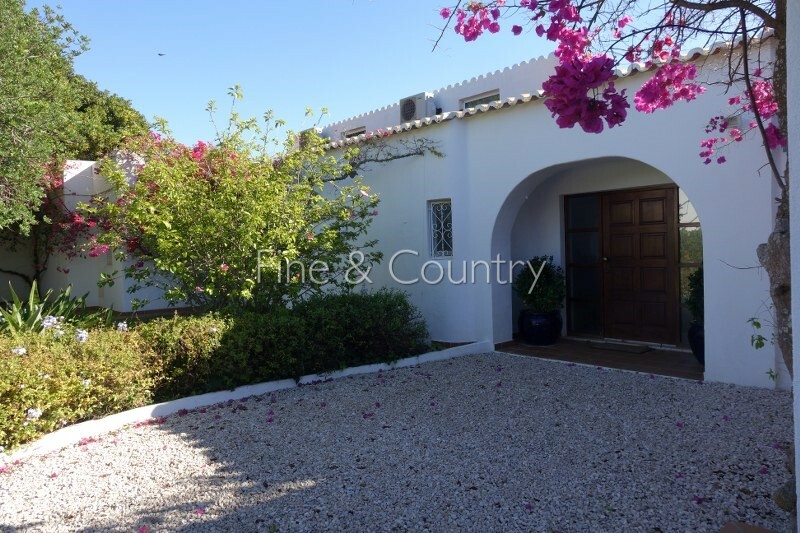 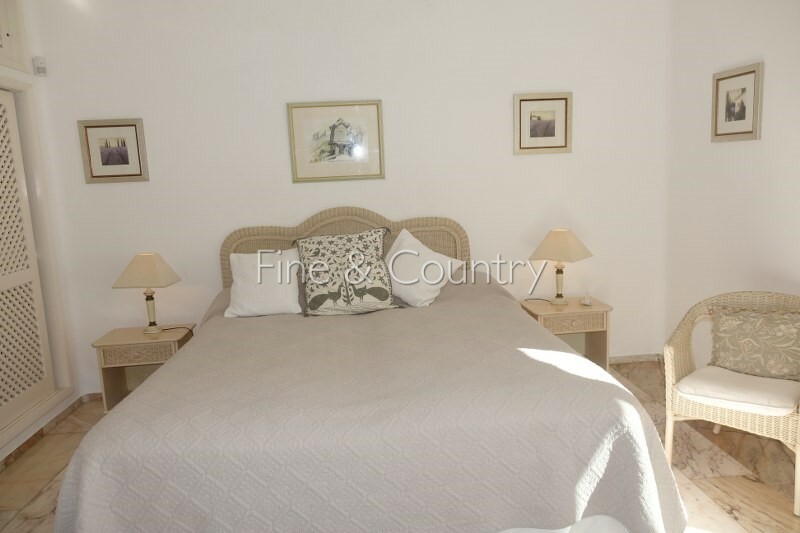 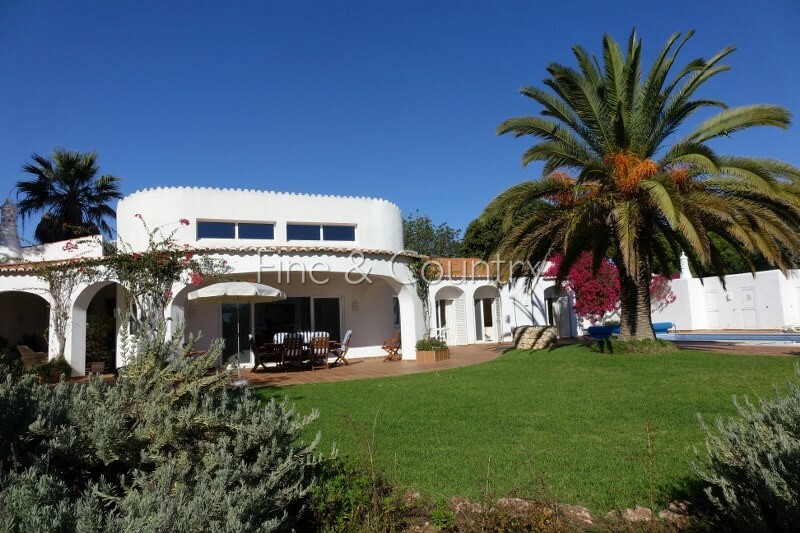 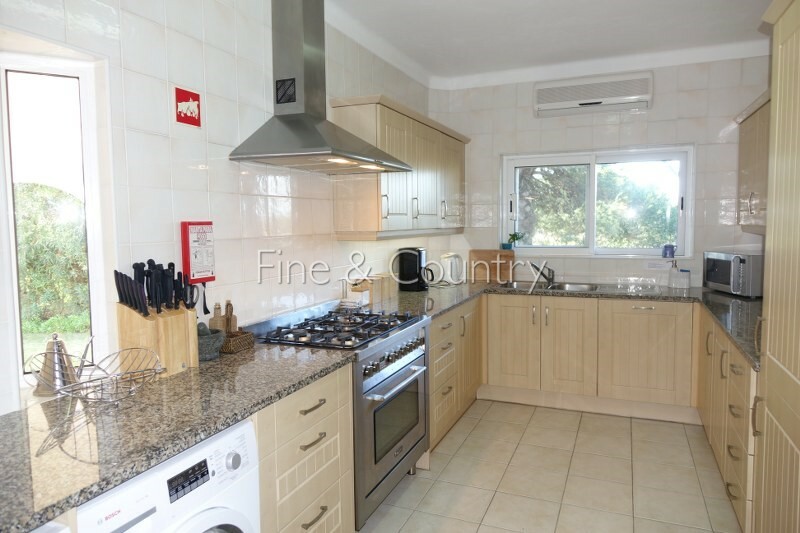 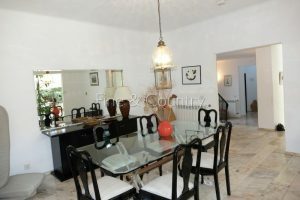 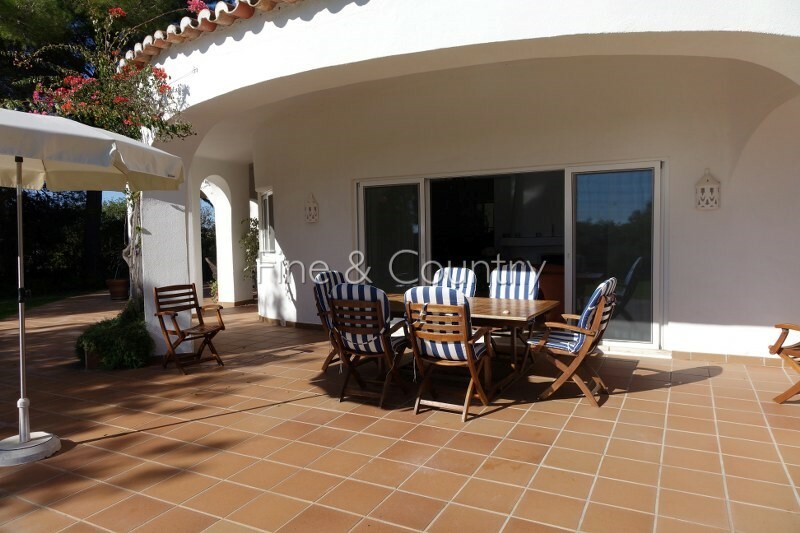 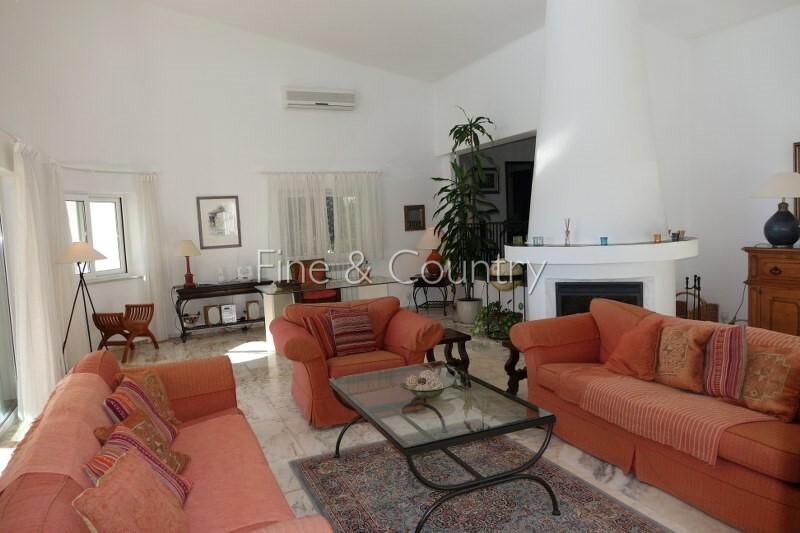 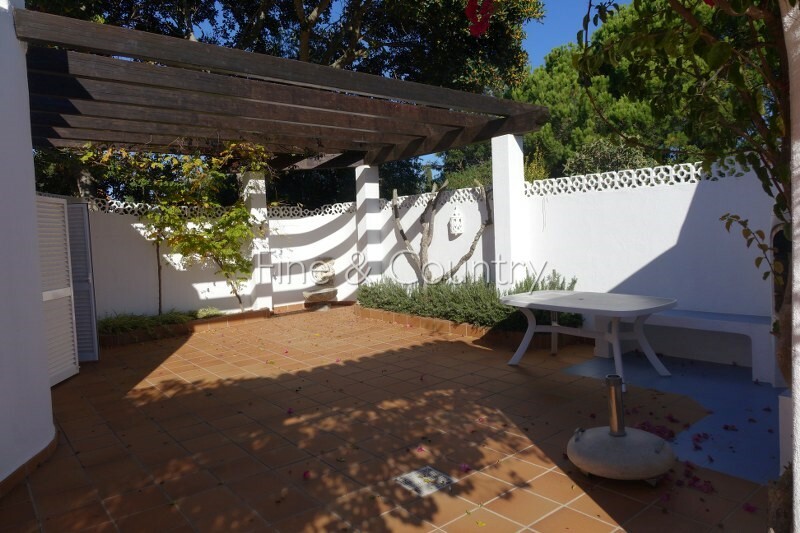 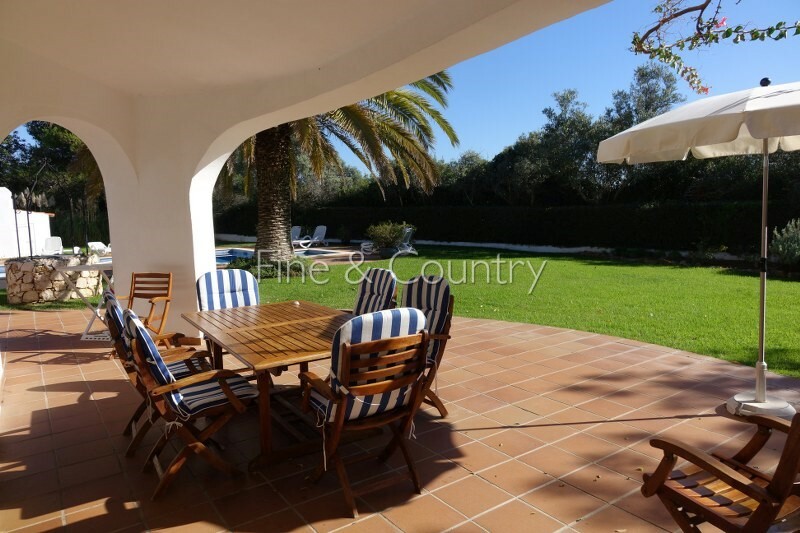 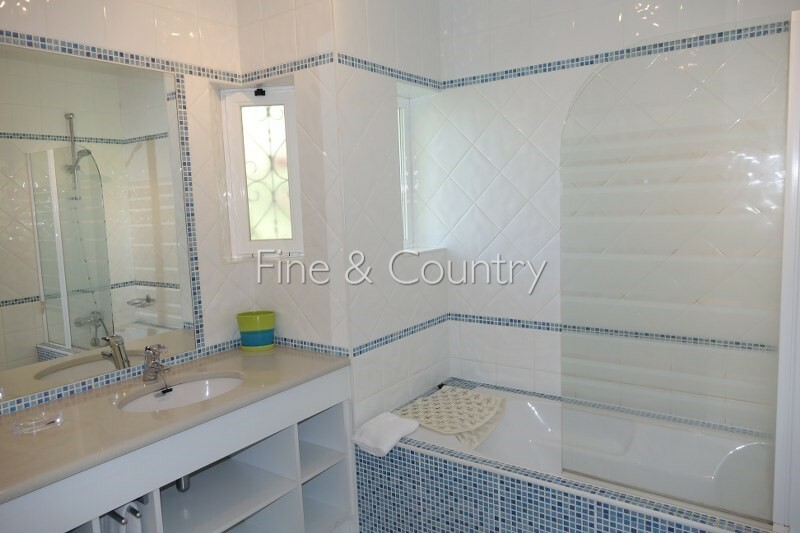 This bright, 4-bedroom single storey villa is located in one of the best residential areas in Carvoeiro. 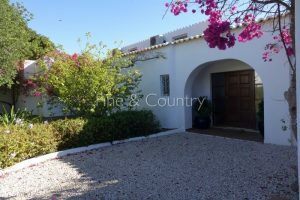 It has been recently renovated and refurbished and comprises an entrance hall, with steps leading down to a very spacious living room with a fireplace and high ceilings, with patio doors leading to the outside terrace areas and to an elevated dining room with the adjacent fully equipped kitchen, larder and a door to the outside drying area. 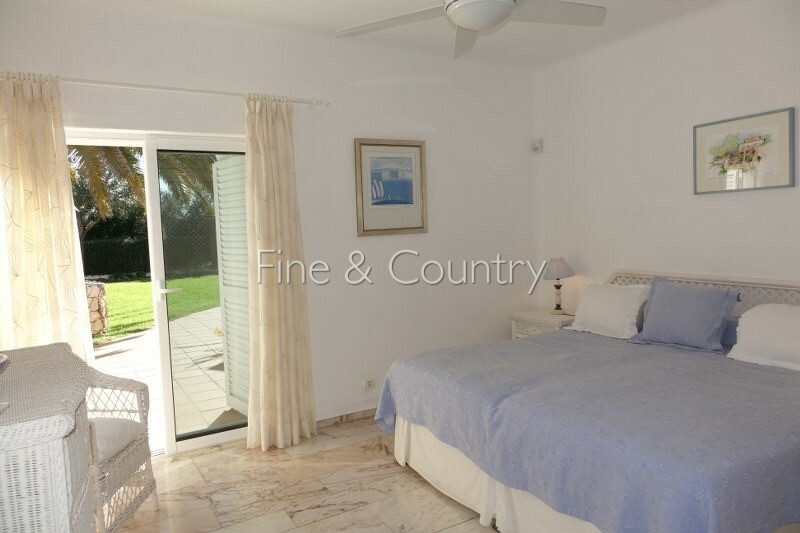 All four bedrooms, one of which is en suite, come with fitted wardrobes and patio doors which give direct access to the enormous pool area and the partly covered terraces facing the south. There are 2 more bathrooms, a guest toilet and a further storage room. The outside of the property gives a lot of privacy and is set within a large, beautiful garden and features a large (heated) pool with a shallow end and with a built-in massage nozzle, extensive covered and open terrace areas, a barbecue area as well as a rooftop terrace with a great view of the ocean and the surrounding area. 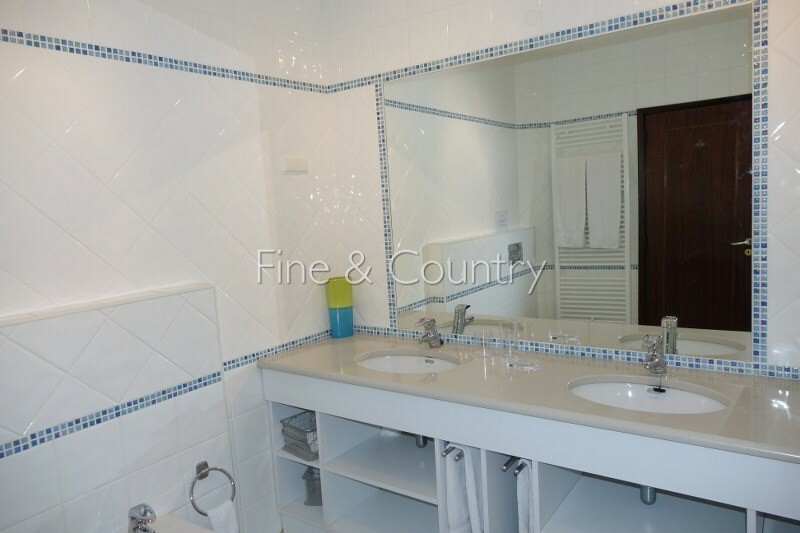 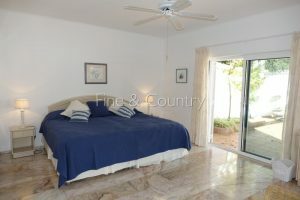 Further features: Double glazed windows + partly shutters + partly mosquito nets, Air conditioning throughout, automatic irrigation system for the garden, borehole (for the irrigation of the garden), central heat exchange system (radiators), ceiling fans in the bedrooms, marble floors throughout, safe, alarm system, garage, ample parking, fully fenced and gated.